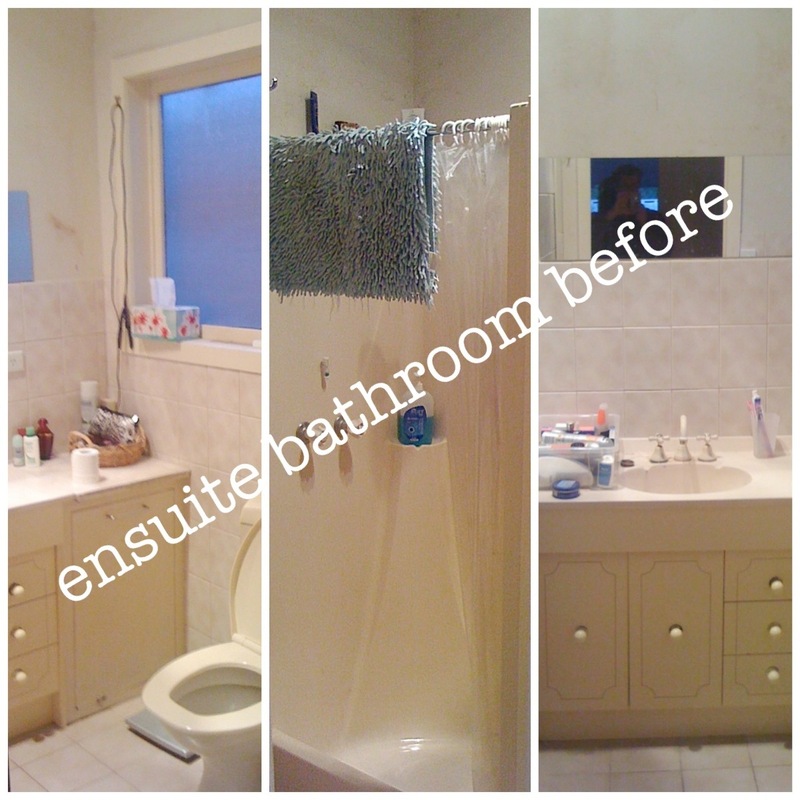 Our ensuite bathroom, as it was, kind of reminds me of a bathroom you might find in a caravan!! It was so pokey & dark….. Just awful! Even though it’s small, it is quite functional and for that reason there was no reason to move things around. This also saved money as the plumbing was able to remain in the same position. 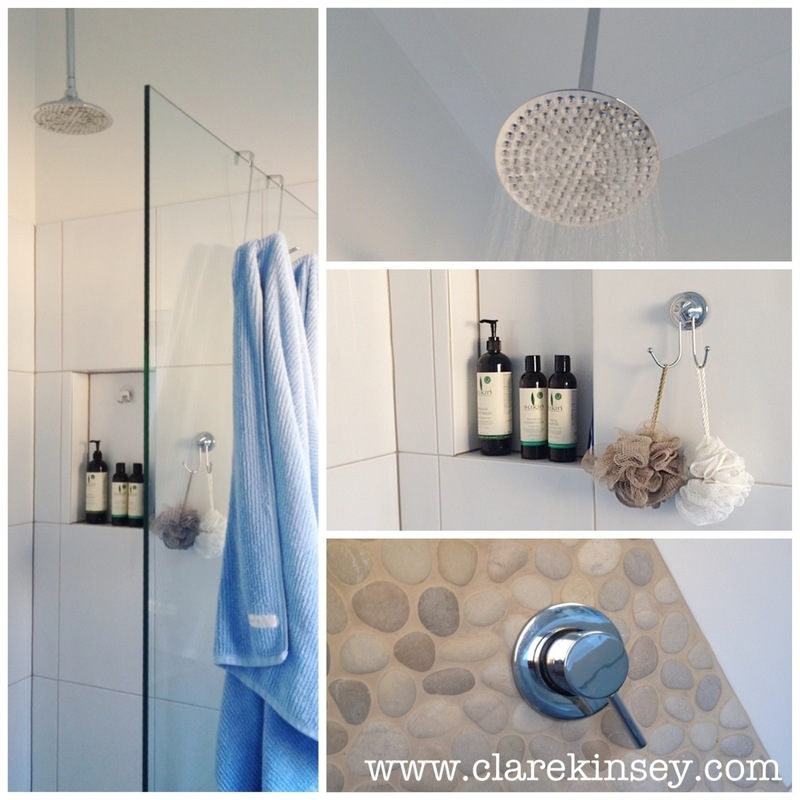 The only exception to this was that the new rain shower head comes from the ceiling rather than the wall. Best shower EVER!!!!! The shower takes up one end of the room with a graded shower base and frameless shower screen so it all appears bigger. There was no need to change the window either. 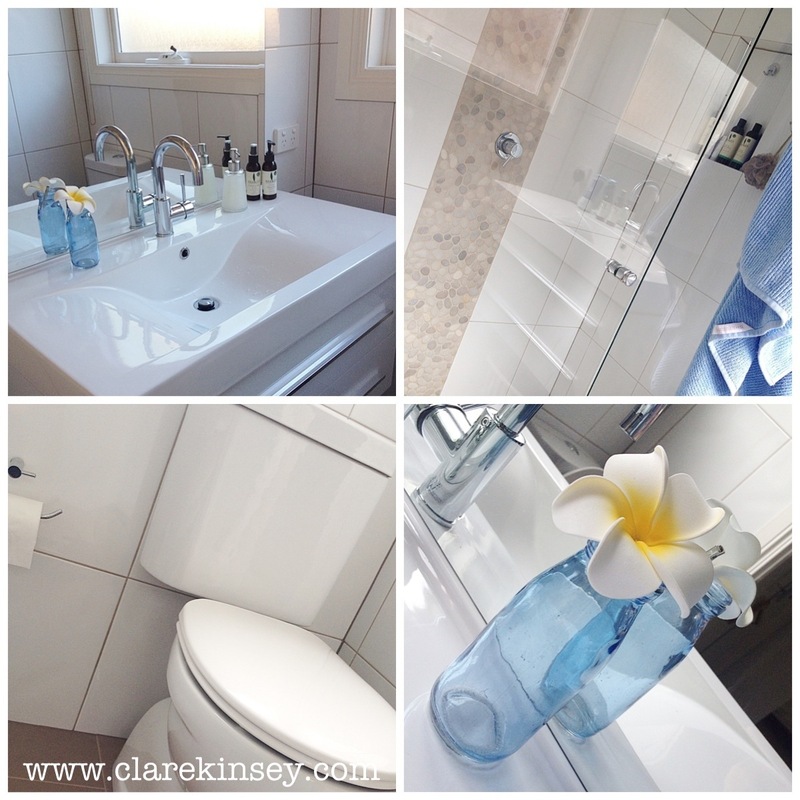 The room is made brighter by the use of big white tiles, lots of glass, and a big mirror above the vanity. The tiles on the walls aren’t flat, they have a bit of a wave to them which allows them to reflect light in ways you might not expect. 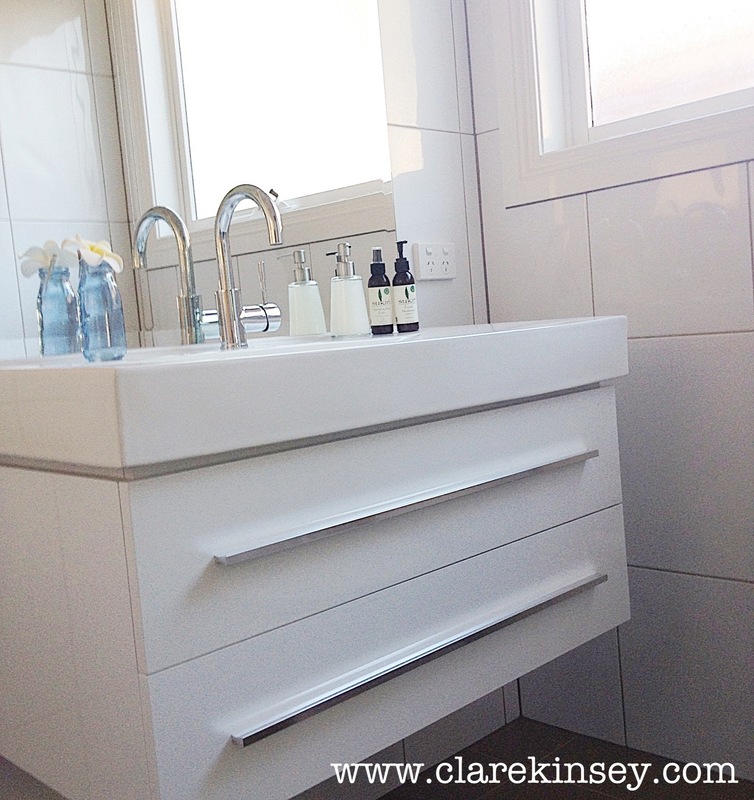 A floating vanity also gives the impression of more space. The pebble feature tiles give it that lovely coastal feel that I just adore! So happy with the finished result. Thanks Emma. I would love that! !